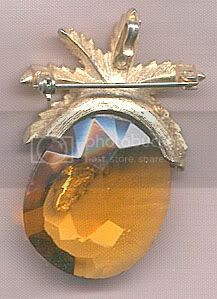 extra view links you can click to see more pictures. 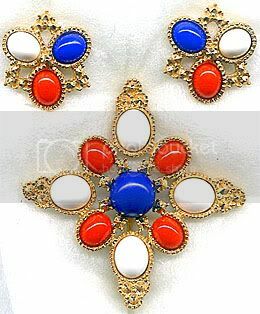 American costume jewelers turned out a deluge of designs during the 1960s Flower Power era, and Kramer was no exception. 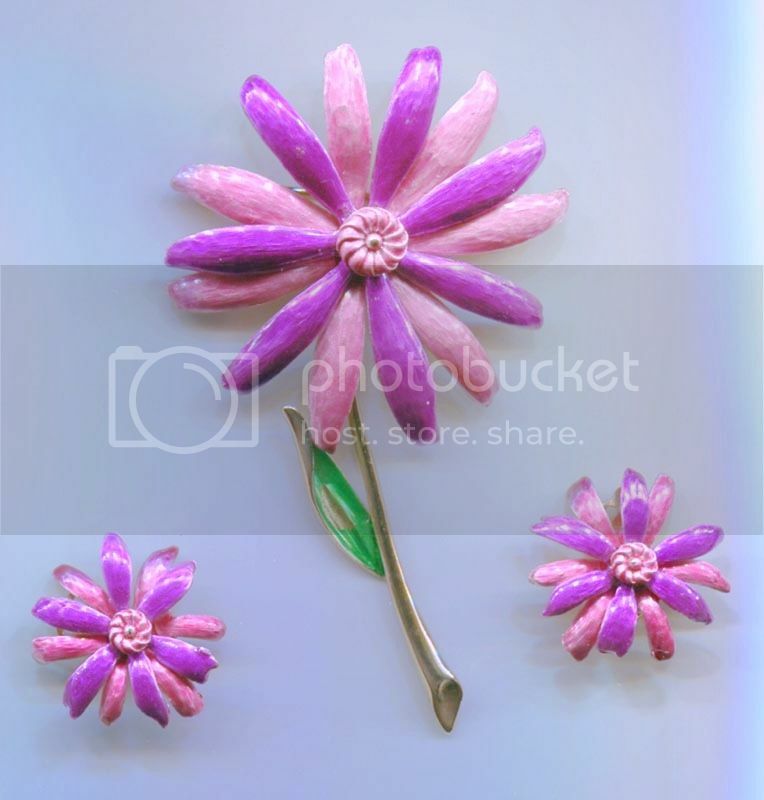 This is a lovely land weighty metal set enameled in pink and a delightful magenta/purple over goldtone. A spot of green enamel has peeled off the leaf, but it's a charming little fault in a jewel old enough to be your grandma's. 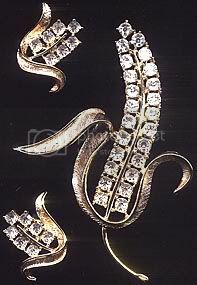 Otherwise sound, clean and unspoiled, your friends will smile when they see you--or her--wearing the jewels. 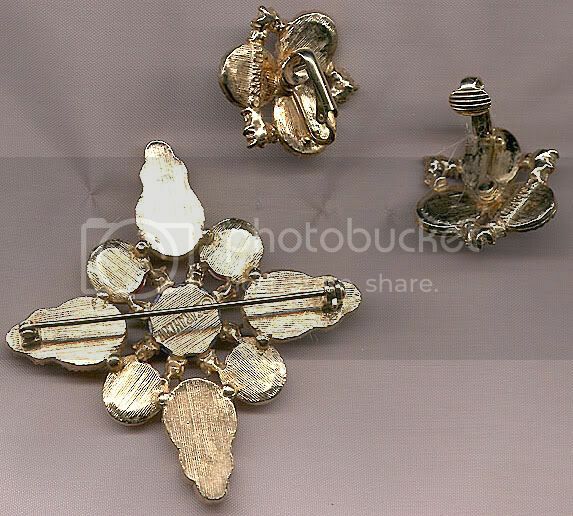 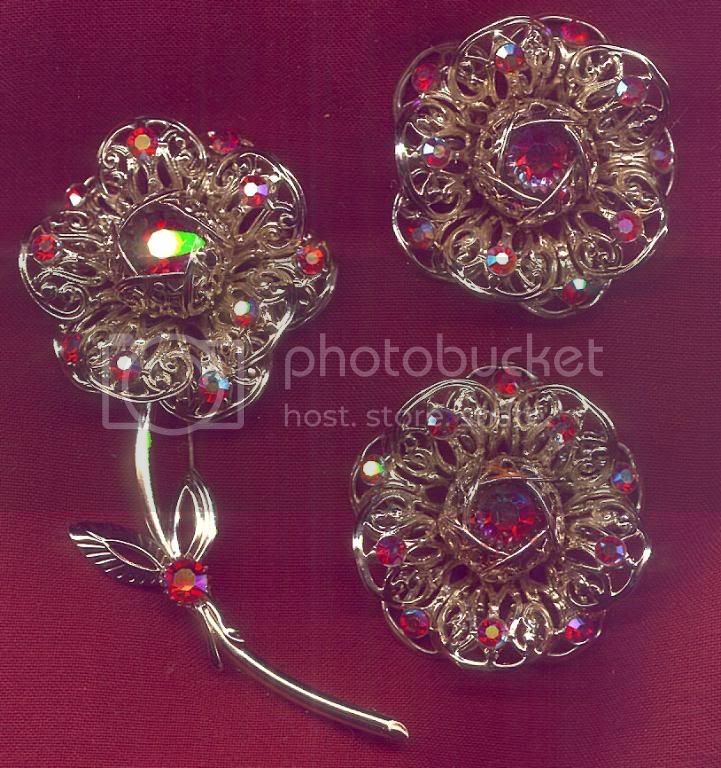 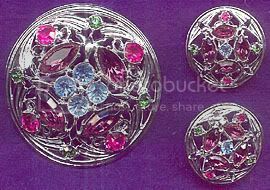 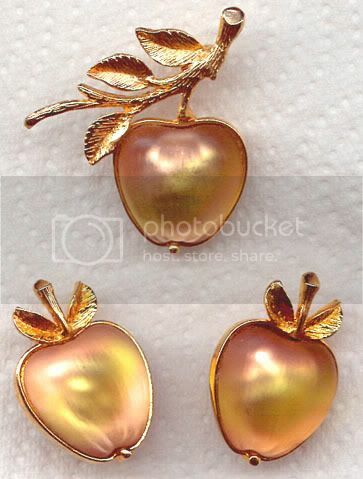 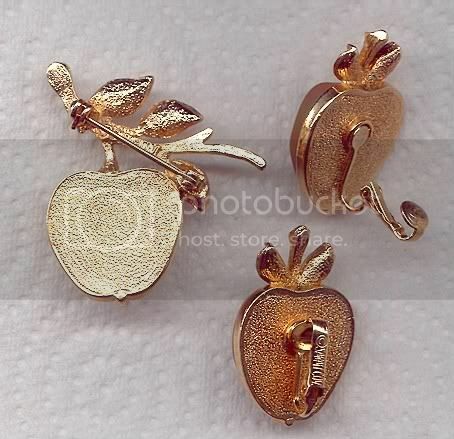 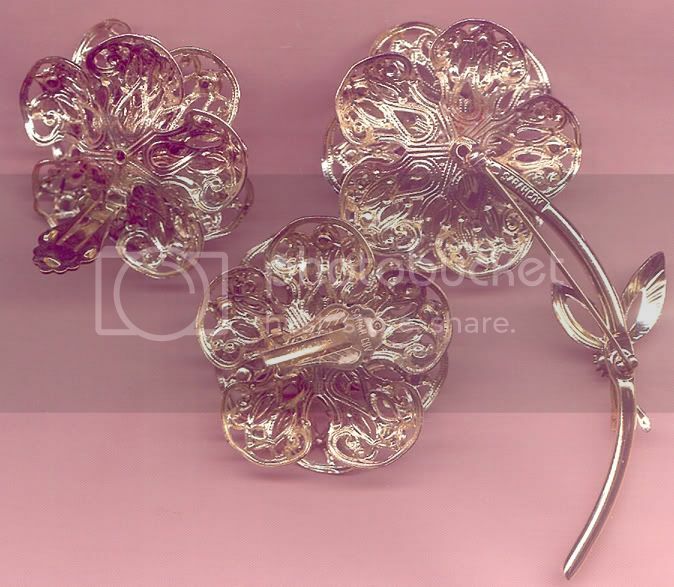 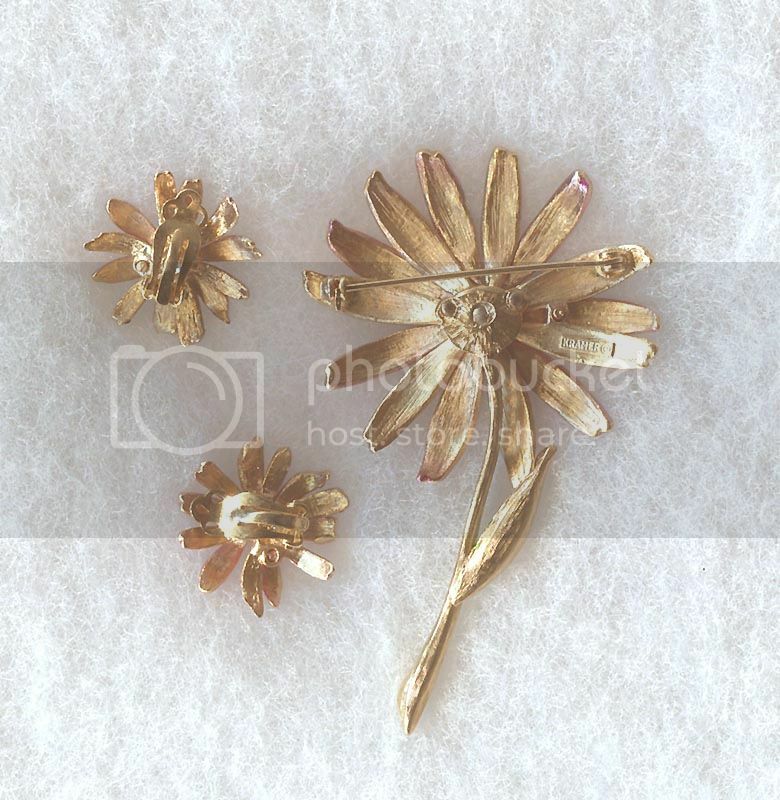 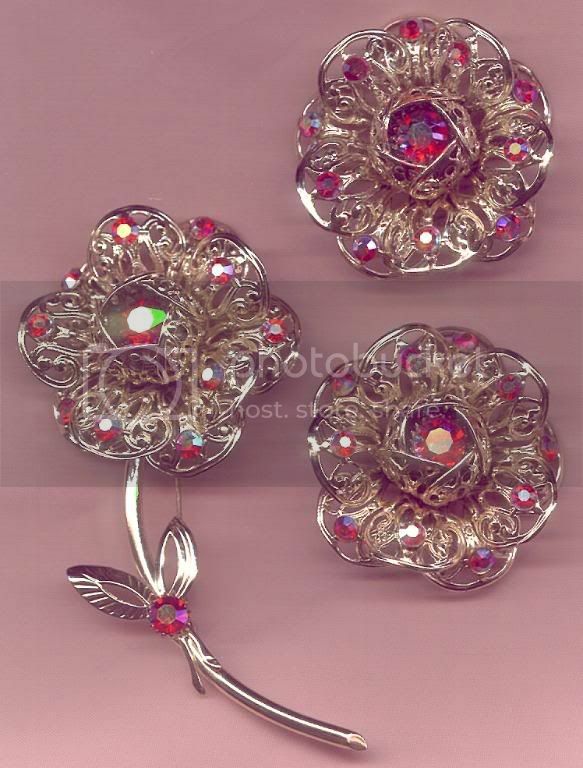 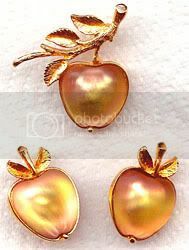 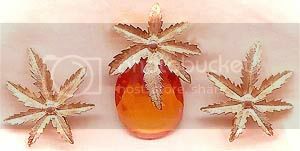 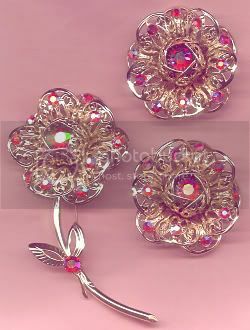 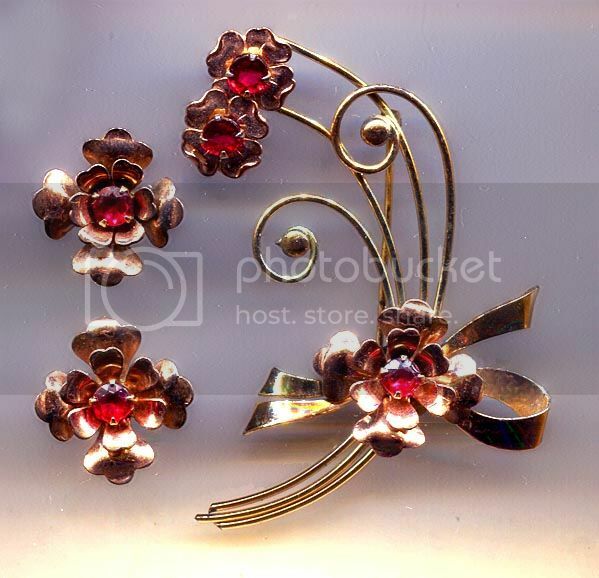 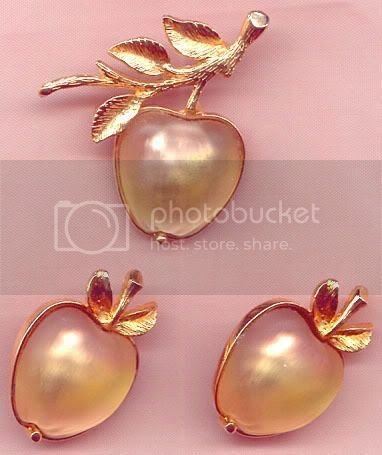 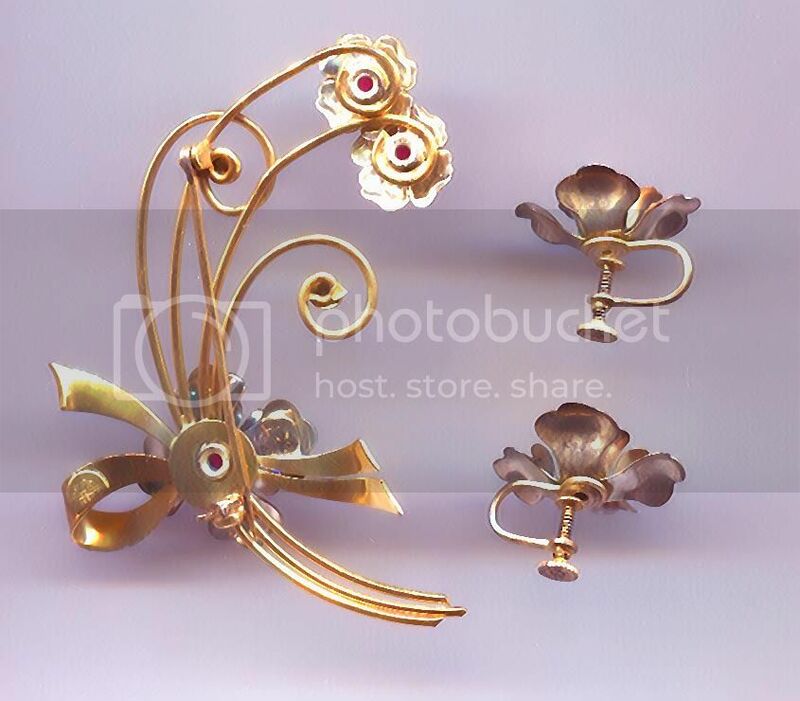 The brooch is 3 1/4" tall with a flower head 2" in diameter; the matching clip on earrings are 1". 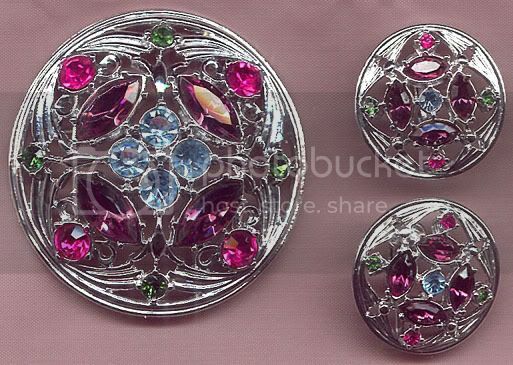 Enjoy for $35. 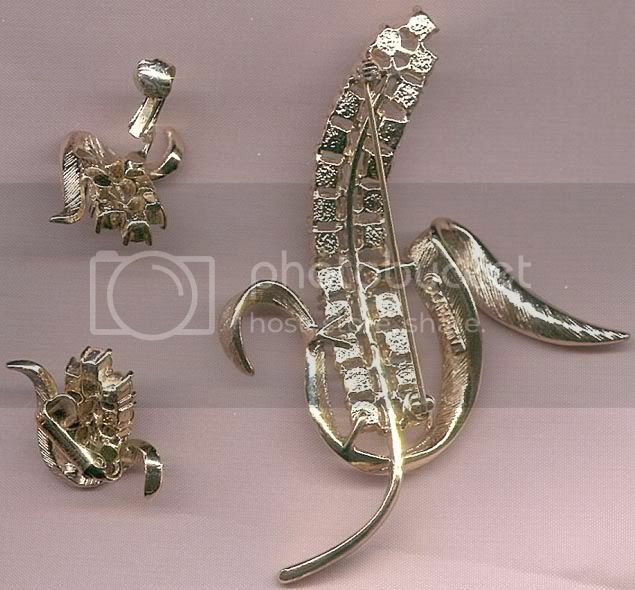 Sarah Coventry 'Radiance' Rhinestone Brooch & Earrings Set.